I know this is supposed to be a blog strictly about sports, but professional wrestlers are athletes, professional wrestling is known as sports entertainment, and you gotta love Randy “Macho Man” Savage. 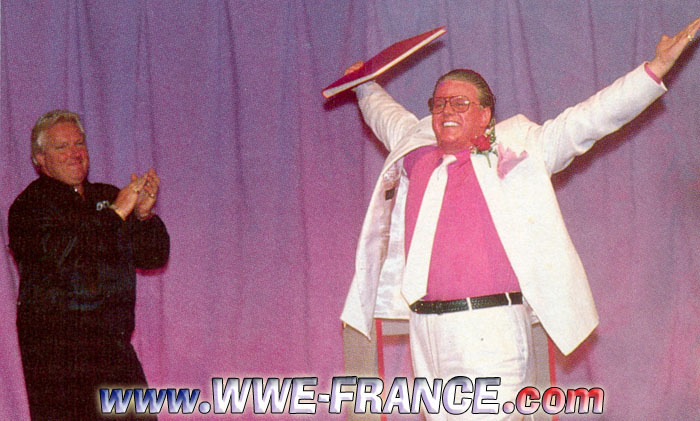 I was legitimately saddened by the passing of “The Madness” today. Apparently, the 58 year old former WWF (yes, WWF) and WCW superstar had a heart attack behind the wheel of his car and crashed today in Tampa, Florida. He will truly be missed. I wanted to pay a unique tribute to one of my childhood idols, so here we go. 1. The Undertaker (old school) should run the entire proceedings, including being the one to shut the casket and put it in the ground. 2. He should be wearing the above outfit, or any of the following outfits… (obviously). 3. As the pall-bearers carry his casket out, “Pomp and Circustance” should be playing on the church loudspeakers. 4. His brother, Lanny “The Genius” Poffo, should read a poem at his funeral. 5. During the eulogy, whoever gives it (preferably Brother Love) should start speaking clearly and slowly turn it into an indiscernible mumble that gets quieter and quieter, until he reaches the end of the eulogy and yells “Oooooooh YEAH! !”… (Like this beauty). 6. The eulogy, and pretty much everything anyone says, should involve the stars, the moon, space, madness, nonsense… basically anything that doesn’t really have anything to do with what the eulogist is supposed to be talking about (like this gem). 8. Instead of roses, sticks of Slim Jim shall be thrown onto the the casket as it is being lowered. 9. 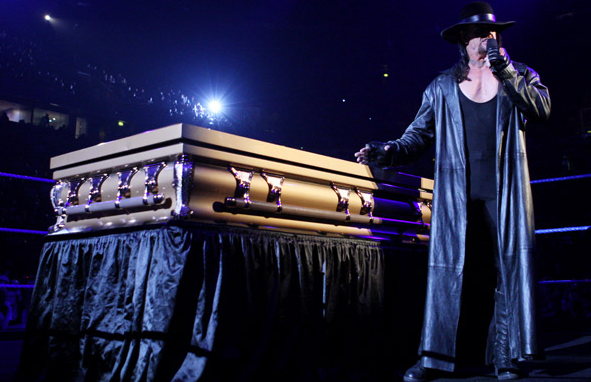 Instead of a nice picture of Randy, pictures from Where’s Randy Savage should be displayed prominently on the casket. 10. Rick Flair should make inappropriate jokes about how he can’t wait to also die, so that he can go to the afterlife and make Miss Elizabeth ride “Space Mountain” again. There you have it. In all seriousness though, the world has lost a great entertainer who will be missed by millions around the world. We hadn’t seen him in a while, but it doesn’t mean we didn’t miss him or think about the days he spent entertaining us in the 80s and 90s. 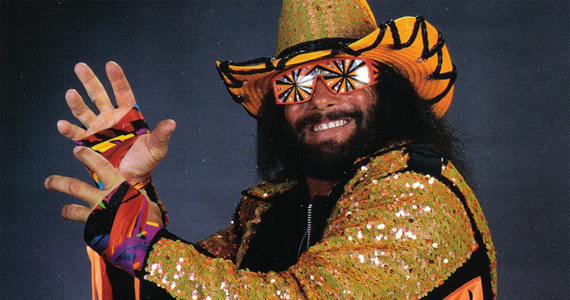 We’ll always dig you Mach…Oooooooh Yeah!